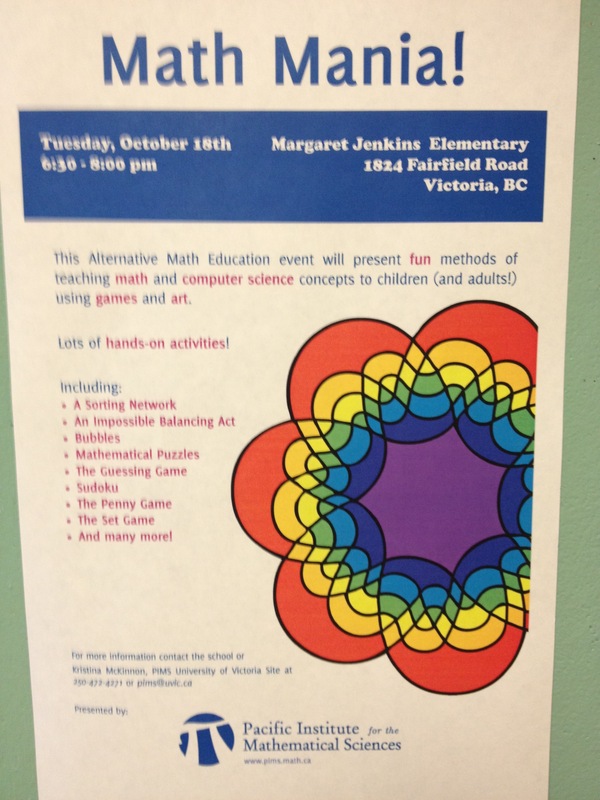 Tonight for homework students have been invited to drop-in to the EMJS gym between 6:30 and 8:00 to enjoy activities designed to demonstrate to children – and their parents – fun ways of learning both math and computer science concepts. Want to find out more? Visit the math mania website.